I’ve recently started reading A Guide for Adults with Hip Displaysia by Sophie West and Denise Sutherland – two women with DDH like me. 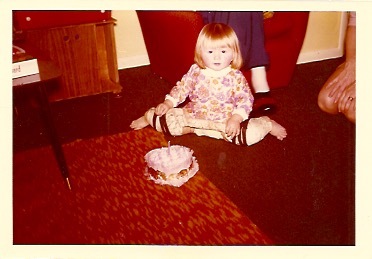 Denise was diagnosed aged 18 months and has therefore lived a more similar path to me. 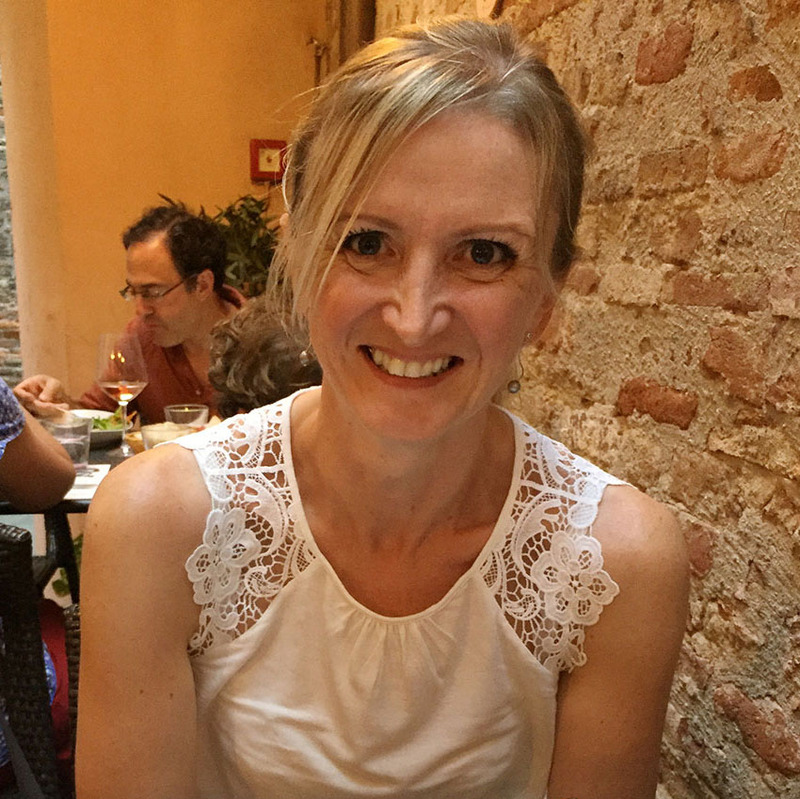 Sophie (an orthopaedic surgeon) was not diagnosed until she was 27. Their book was recommended on Steps Charity’s website, as part of their mission to support adults with hip displaysia, as well as families of young children born with DDH. A friend recently asked me why I’d chosen Steps as a charity to support alongside my walking challenge. For me it’s the fact that Steps provide information to people right at the point where they feel vulnerable and lost. Either a parent who’s told their young baby will spend months in a plaster-cast and needs surgery. Or an adult newly-diagnosed after increasing pain in the hips, or like me is interested to find out more about a condition I’ve been aware of my whole life. I know first-hand how knowing what’s going to happen to you or your child can be important in how you deal with it. As a child, lots of things ‘happened to’ me that weren’t happening to my friends. I had lots of surgery which from a child’s point of view meant people did things to me that hurt. I spent lots of time away from my parents in hospital. There was nothing unnecessary – it’s what got me walking. Yet I know from therapy I’ve had as an adult that it’s had a significant impact on how I see the world. Both positively and negatively. As a child I tried to control things by screaming and refusing to let the nurses come near me without a fight. 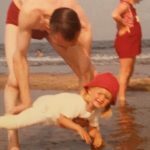 Apparently when my parents weren’t there (in those days they had to stick to visiting times) the only person who I’d let near me was a ward cleaner called ‘June’. Or as I could pronounce it aged 2; ‘Dune’. My mum tells me that my consultant always had to co-opt this cleaner into holding my hand so that he could examine my hips. 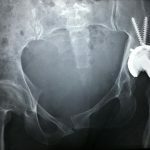 When I had my left femur lengthened aged 16, I took control by watching a video for medical students about the surgery. 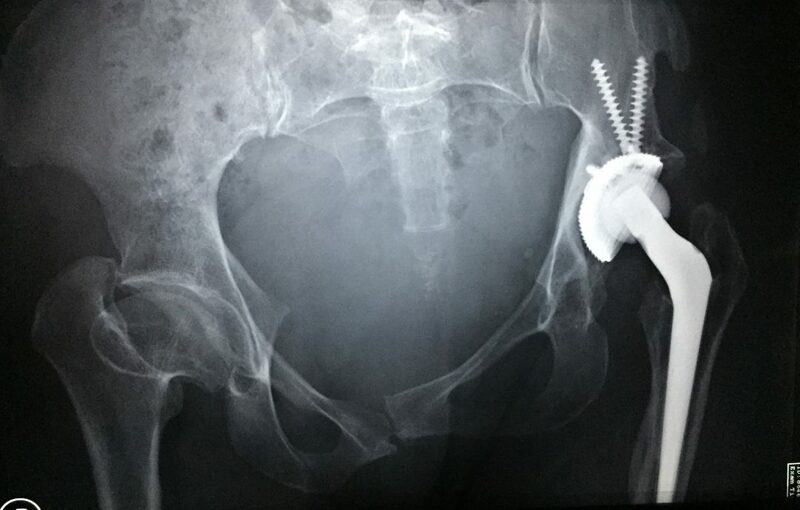 The nurses thought I was mad watching how they use a chisel to break the femur, a drill to put the holes in the side of the leg for the fixator and so on. But for me, I knew what was going to happen to me and that felt better than not knowing. 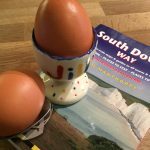 So the South Downs Way is double challenge. I’ve chosen to do it, but it involves uncontrollable things like the weather or the potential of getting lost or injured whilst alone. It’s also beautiful. Friday was mainly dry but misty and it had been raining and snowing the day before. The ground was muddy and slippery as I made my way through the Meon Valley. It’s an idyllic part of the world; green fields and hedgerows punctuated by fluffy white sheep. 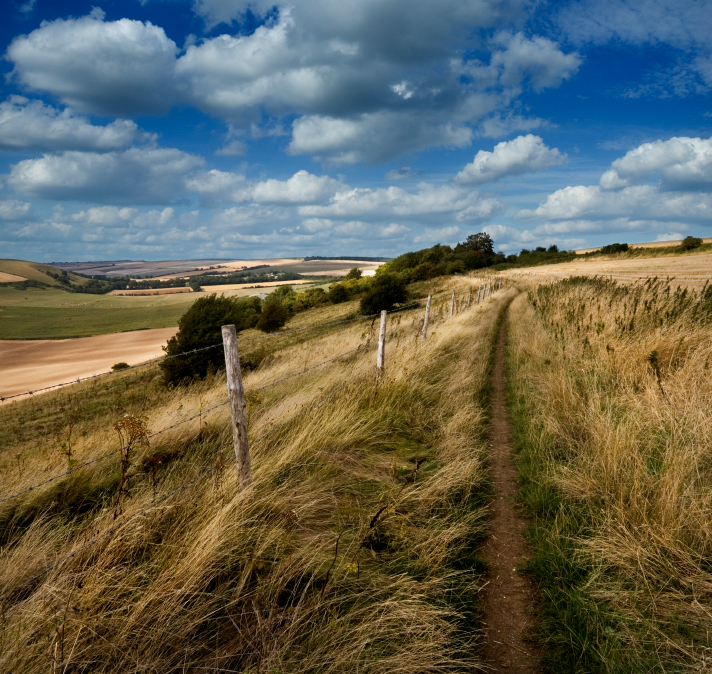 The first challenge was to walk up and around Old Winchester Hill, the site of an Iron Age Fort 650 ft above sea level and where, on a sunny clear day, you can get a great view out to sea. Today the view was of the nearby sheep and fields with a far horizon of mist. The trip down the other side of the hill took my mud-clogged boots past amazing hang-gliders to Meon Springs – a fly fishing lake where they cater for walkers with tea, toilets, water top-ups and friendly conversation. From there it was a gradual and constant climb back up to 800 ft. The hardest part was half-an-hour up a steep path of uneven chalk stones, which I traversed, at the pace of a penguin, with two walking sticks. By the time I got to the top it was dark and I had to get out the torch to see where I was walking. My hips, knees and the right side of my ribs (which work overtime to stabilise me) were hurting as I stopped for a drink and an energy ball before the final half hour along the ridge to Wetherdown Lodge. Part of an old Naval communications encampment called HMS Mercury, it’s a lovely warm and hospitable hostel, and was the perfect place to stop. The following morning I awoke to the sound of rain. I’d expected this and it wasn’t too heavy, but what I hadn’t expected was fog. I left layered-up and walked a slow incline through a canopy of trees and the tapping rain, to Butser Hill. 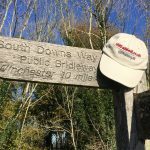 It’s the highest peak of the Downs at 888 feet and the original start point of the South Downs Way – until it was extended another 22 miles to Winchester. I can’t really comment on the view (see picture) – I must go back on a clearer day to actually see it! Down the steep grassy hill of Queen Elizabeth Country Park for a tea break. As I was eating my toasted tea-cake (a religious ritual if you’re from Yorkshire) I looked to the right and a very steep hill of fir trees. “Hope I’m not walking up that” I think. Twenty minutes later and I’m climbing through the trees. It’s stunning and fragrant from the rain. Watching the birds hop around almost takes my mind off how much my hips, knees, feet and shoulders are aching. An hour and a half later, as I approached the Five Bells in Buriton a woman stopped and got out of her car. She kindly asks “is that the way you usually walk or are you hurt and need help?” I smile as I know that my Fitbit will have logged this un-trackable gait as ‘sport’ not walking. I explained what I’m doing and why and that my lovely partner was waiting in the pub to drive me home. 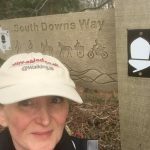 I arrived bedraggled and tired yet feeling so very grateful that I’ve been able to complete a quarter of the South Downs Way already. For this leg my steps were short and my pace slower than the first trip; each 6-mile day took me and my hips over 5 hours. I’m so proud to be doing this. And grateful that these hips were made for walking. Just very differently. I’ll be back walking in the Spring, hopefully joined by a few friends. If you’d like to donate to Steps Charity you can do so here. £5 would pay for an information pack to be sent to the family of someone newly diagnosed.